A law blog about Ninth Circuit consumer litigation. 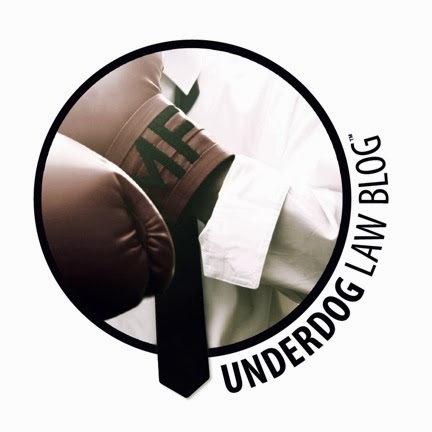 Underdog Law Blog is Moving! After five years and over 100 posts, my law blog is moving! My goal for 2016 is to help Oregon borrowers wipe out over $1,000,000 in student loans at no cost. OregonStudentDebt.com explains how to wipe out your federal and private student loans and obtain 100% student debt forgiveness in bankruptcy. My student loan practice is currently limited to pro bono clients only. 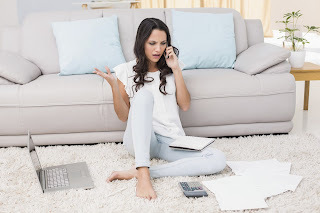 Oregon Bankruptcy Blog explains how to stop calls and fix credit after bankruptcy. I specialize in this area of the law and am happy to tell you what I know at no cost. Sample dispute letters are available for download. Michael Fuller is a partner at Olsen Daines in Portland, Oregon and an adjunct professor of consumer law at Lewis & Clark Law School. Exhausting your remedies can fall under several categories. The most common are called “Grievances” and “Discrimination Forms.” Other variations of these structures are based on institution preference but the fact remains the same: an incarcerated individual must try to resolve the issue “In-House” first by using the specific institutions complaint procedure. 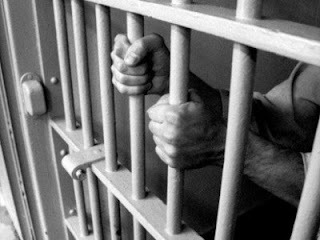 Many attorneys take cases each year to help incarcerated individuals settle their grievances in court. There’s only one problem… no grievance has been filed! As to add to this problem, the grievance process is to be done solely by the one incarcerated; months before the federal complaint is filed. A federal complaint can be filed, an attorney obtained, and the case progressed to victory without the grievance process exhausted, but a check will never be written. You begin to see the complication – how can we make sure an incarcerated individual exhausts their remedies when they may not know the importance of this step and their attorneys will be uninformed of this crucial error until it’s too late. That is the probable $64,000 dollar question. The solution begins with education by getting the consequential datum to the individuals in need of it the most. The possibilities of prevailing increase immensely. The possession of this information is being withheld and it is in our best interest to find new avenues to share it with a large group of individuals who have little to no access to relevant and comprehensive intelligence. For my part, I believe this information would be most fitting should it be printed on the front of all grievance forms and the subsequent appeals. Additionally, having this printed on cover sheets of the tort packets and federal court packets would be paramount. A phrase as simple as, “You must exhaust this process (or the grievance process) before pursuing legal action” would suffice. With the legal community’s support, this can be done. The opposition will not like this. Sealing this information is a critical method used by these institutions which only assists their transfinite budget and eliminates legitimate complaints. With an organized effort, we can balance the scales of justice and triumph in the face of adversity. 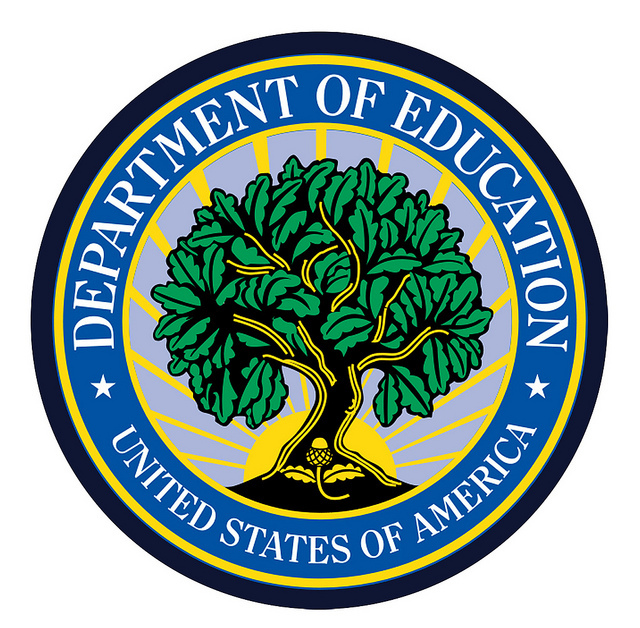 Last month the Department of Education issued a report proposing two key changes in the way student loans are treated in bankruptcy. 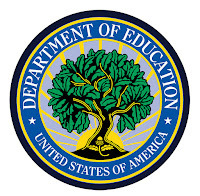 The report was in response to President Obama’s March 10 Presidential Memorandum on a Student Aid Bill of Rights, which sought recommendations on student loan laws ranging from servicing to bankruptcy. The first proposal seeks to prohibit servicers from placing borrowers in default automatically because their co-signor dies or files bankruptcy. The report reasons that current borrowers should not be driven into “financial ruin” due to circumstances outside their control. 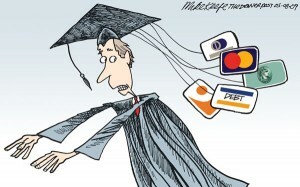 The second proposal suggests making private student loans dischargeable in bankruptcy. The report reasons that unlike federal loans, private student loans often don’t provide borrowers any income-based repayment options. This post discusses how to meet the third ‘good faith’ prong of the Brunner undue hardship test in Oregon bankruptcy courts. This is the fourth post of a five-part Q&A series about discharging student loans in Oregon. Prior posts discussed the general rule that student loans are non-dischargeable, reviewed the types of educational debts subject to the general rule, introduced the undue hardship exception, and examined the first and second prongs of the Brunner test. Q: How do I pass the third 'good faith' prong of the Brunner test? A: You must prove that you’ve made good faith efforts to repay your student loans. In Degroot, the Oregon district court considered a number of factors relevant to good faith, including (1) whether the debtor has worked to maximize income and minimize expenses, (2) whether the debtor has made an effort to negotiate a repayment plan, (3) whether the debtor has made any payments on the loan, and (4) the timing of the debtor’s attempt to have the student loan discharged. In Blackbird, the Ninth Circuit BAP acknowledged that a lack of bad faith is not enough to pass the third Brunner prong. Instead, a debtor must provide actual evidence of affirmative good faith efforts. 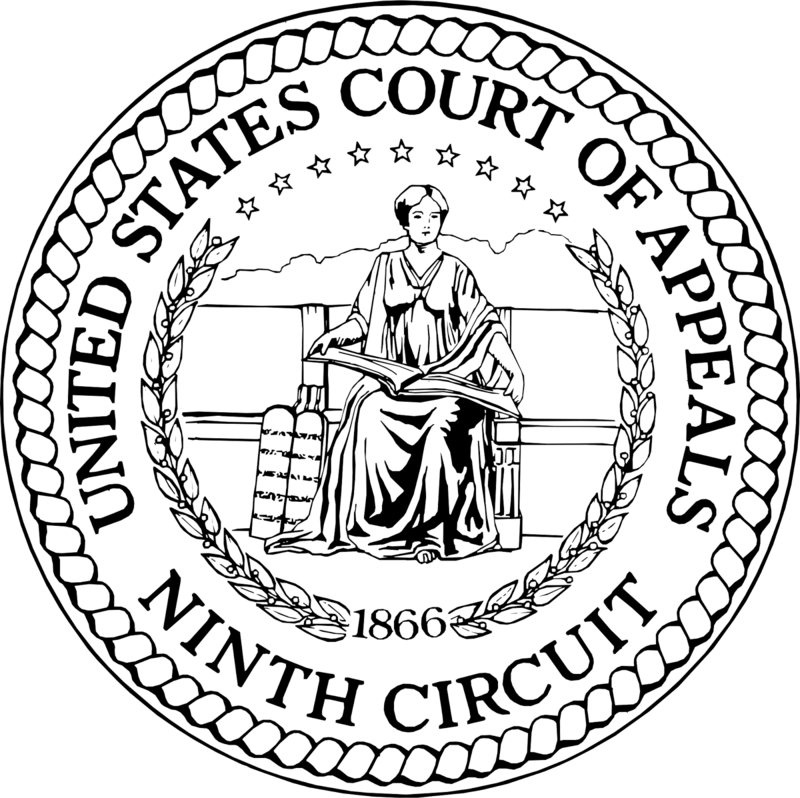 In Hedlund, the Ninth Circuit held that factual determinations of good faith by a bankruptcy court can only be reversed on appeal in cases of clear error. Q: Can I pass the third Brunner prong if I’m holding out for a job in my chosen profession? A: Probably not; you need to work as many hours as possible. In Mason, the Ninth Circuit ruled that a debtor lacked good faith because he only worked part time as a home siding installer and refused to find a second part time job. The court rejected the debtor’s argument that working more hours would make it more difficult for him find a full time career. The court was also critical of his refusal to make more than one attempt to pass the bar exam. In Ristow, the Ninth Circuit BAP found a lack of good faith, in part, based on a debtor’s refusal to work for less than six figures in her chosen field upon graduation. 2012 Bankr. LEXIS 1289 (9th Cir. BAP Mar. 26, 2012). In Birrane, the Ninth Circuit BAP found a lack of good faith because a debtor was underemployed and no evidence suggested she was willing to take a second job outside her chosen field. The court reasoned that she could have used her knowledge as a dance instructor to teach private lessons but chose not to. Q: Can I pass the third Brunner prong if my spouse isn’t working? A: Yes, so long as you’ve made all attempts to maximize your income and reduce expenses. Q: Do I have to take a higher paying job in another city to pass the third Brunner prong? A: No, so long as any potential increase in wages would be offset by increased costs of living. In Heldlund, the Ninth Circuit allowed a debtor to pass the third Brunner prong because although higher paying jobs might have been available outside of Klamath Falls where his family lived, any potential salary increase would be offset by increased living expenses. Q: Must I request an unemployment deferment to pass the third Brunner prong? In Roth, the Ninth Circuit BAP acknowledged that whether a debtor has sought deferments or forbearances may be indicative of good faith. In Pena, the Ninth Circuit allowed debtors to pass the third Brunner prong, in part, because they requested an unemployment deferment rather than immediately file bankruptcy. Q: Can I meet the third Brunner prong if I didn’t apply for a repayment plan before filing bankruptcy? A: Possibly, so long as you wouldn't have qualified. In Jorgensen, the Ninth Circuit BAP ruled that a debtor’s failure to accept a repayment plan does not necessarily equate to bad faith. In Roth, the Ninth Circuit BAP reasoned that a repayment plan’s terms, duration, and future tax and credit consequences must be considered in determining whether a debtor’s refusal to accept a repayment plan was reasonable. The court allowed the debtor to pass the third Brunner prong even though she never applied for a repayment plan because she mistakenly believed she would not qualify. Her failure to apply was also mitigated by the fact that her repayment amount would have been zero. The court reasoned that the law doesn’t require a party to engage in futile acts, and the debtor could have faced potentially disastrous tax consequences at the end of her 25 year repayment period. In Hedlund, the Ninth Circuit allowed a debtor to pass the third Brunner prong even though he never applied for an income contingent repayment plan (“ICRP”). The court based its decision, in part, on the debtor’s good faith determination that he didn’t qualify for ICRP because his loans were in default. In Kelly, the Ninth Circuit found that the third Brunner prong was met because although the debtor never applied for loan repayment options, she had a good faith belief that she was ineligible. 594 Fed. Appx. 413, (9th Cir. 2015). In Gray, the Oregon bankruptcy court allowed a debtor to pass the third Brunner prong because although he didn’t apply for an ICRP, there was no guarantee his loans would qualify for such a program. 2006 Bankr. LEXIS 4230 (Bankr. D. Or. June 19, 2006). However, in Mason, the Ninth Circuit found a lack of good faith, in part, because a debtor didn’t pursue ICRP options with diligence. 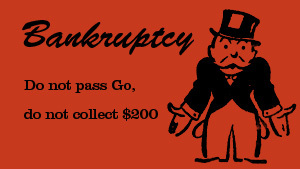 In Cianciulli, the Oregon bankruptcy court found a lack of good faith because a debtor failed to enroll in an ICRP before filing bankruptcy, even though he didn’t qualify for ICRP at the time of trial. 2005 Bankr. LEXIS 1129 (Bankr. D. Or. June 7, 2005). Q: Can I meet the third Brunner prong if I reject a repayment option offered just before trial? A: Potentially, so long as the repayment option was clearly not affordable. In Hedlund, the Ninth Circuit allowed a debtor to pass the third Brunner prong even though he rejected three pre-trial repayment options offered just before trial. The court reasoned even the 30-year, $300 per month options offered were still more than he could afford. However, in Birrane, the Ninth Circuit BAP ruled that a debtor failed the third Brunner prong because she failed to take any steps to renegotiate a repayment schedule under an ICRP before trial. 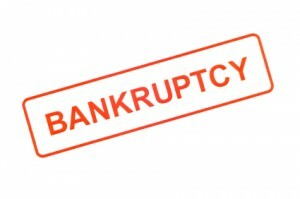 Although she was denied for an ICRP before filing bankruptcy, the court was persuaded by the fact that she failed to re-apply or make any payments after filing bankruptcy. 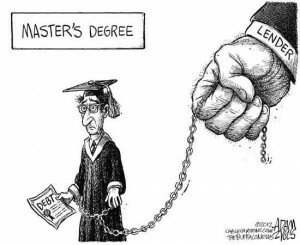 Based on the student loan company’s promise that she would qualify for $141 payments and receive a discharge after 25 years, the court refused to discharge her debts through bankruptcy. In Degroot, the Oregon district court recognized that a debtor must continue making good faith efforts to repay student loans, even after a bankruptcy is filed. The court ultimately ruled that the debtor lacked good faith by failing to apply for an ICRP during her bankruptcy proceedings. In Ristow, the Ninth Circuit BAP held a debtor failed the third prong in part because she rejected applications for ICRP out of fear her husband would become obligated for the payments. 2012 Bankr. LEXIS 1289 (9th Cir. BAP Mar. 26, 2012). In Rosen, the court recognized that although the good faith requirement may continue up until trial, it does not go on indefinitely. The court ultimately refused a student loan company’s request to abate its decision on dischargeability by six months to avoid infringing on the debtor’s fresh start. Q: Can I meet the third Brunner prong if I haven’t made any payments on my student loans? A: Potentially, so long as your failure to make payments was beyond your control. In Jorgensen, the Ninth Circuit BAP ruled that good faith requires proof a debtor made efforts to repay her loans, or proof that forces preventing repayment were beyond her control. In Birrane, the Ninth Circuit BAP held that whether a debtor has a history of making or not making payments is not necessarily dispositive of whether the third Brunner prong is met. In Rosen, the Oregon bankruptcy court allowed a debtor to pass the good faith prong because although he didn’t make any payments on his student loans, his disability limited his ability to work. In Hedlund, the Ninth Circuit allowed a debtor who made only one voluntary $950 payment on his student loans to pass the third Brunner prong. Although his voluntary payments were minimal, he had paid 16 months of uncontested wage garnishments prior to filing bankruptcy. In Roth, the Ninth Circuit BAP held that a debtor’s lack of payments was not in bad faith because she was simply unable to pay due to garnishments and tax refund offsets outside of her control. 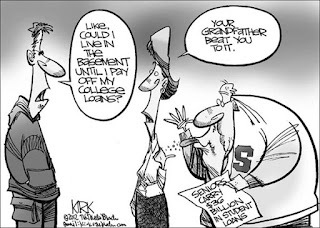 However, in Williams, the Ninth Circuit ruled that a debtor lacked good faith, largely because he failed to make any student loan payments from the time he took out his loans until the time he filed bankruptcy. 9 Fed. Appx. 696 (9th Cir. 2001). Q: Can I pass the third Brunner prong if I repaid other debts instead of my student loans? In Pena, the Ninth Circuit ruled that debtors acted in good faith even though they used back disability benefits to pay down a large amount of general unsecured debt instead of repaying a relatively smaller amount of student loan debt. Q: Can I pass the third Brunner prong if my wages were garnished to repay my student loans? A: Probably, if the garnishment was uncontexted. In Hedlund, the Ninth Circuit allowed a debtor to pass the third Brunner prong, in part, because he allowed his student loan creditor to garnish his wages without objection for 16 months prior to filing bankruptcy. Q: Can I pass the third Brunner prong if I file bankruptcy shortly after my student loans come due? In Hedlund, the Ninth Circuit allowed a debtor to pass the third Brunner prong, in part, because he had waited four years after receiving his student loans to file bankruptcy. The court compared the debtor to the student in Brunner, who filed bankruptcy in bad faith just one month after her first student loan payment became due. In Kelly, the Ninth Circuit allowed a debtor to pass the third Brunner prong, in part, because she paid thousands of dollars toward her student debt over an eight-year period before filing bankruptcy. 594 Fed. Appx. 413 (9th Cir. 2015). In Roth, the Ninth Circuit BAP was persuaded by the fact that the debtor waited over a decade after her loans became due to file bankruptcy. 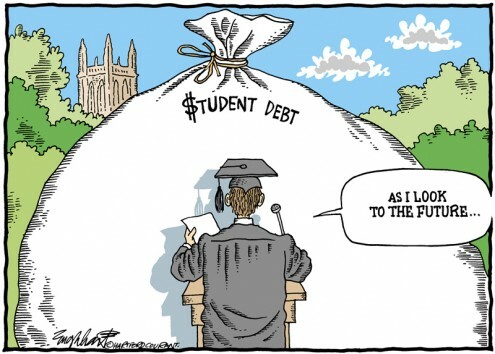 However, in Degroot, the Oregon district court found a lack of good faith because the debtor filed bankruptcy shortly after receiving her student loans. The last post in this series will discuss how income contingent repayment plans work, when to ask for a partial discharge of student loans, chapter 13 options, the statute of limitations on student loans, how to handle student loan collector harassment, and the ability to seek redetermination of dischargeability if circumstances change. This post discusses how to meet the second prong of the Brunner undue hardship test in Oregon bankruptcy courts. This is the third post of a five-part Q&A series about discharging student loans in Oregon. 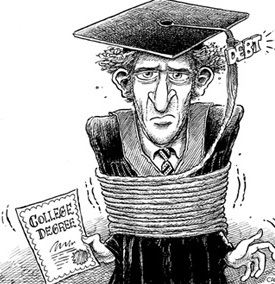 Prior posts discussed the general rule that student loans can't be discharged in bankruptcy, reviewed which types of educational debts are subject to the general rule, introduced the undue hardship exception under the Brunner three-prong test, and examined the first Brunner prong. Q: How do I meet the second prong of the Brunner test? A: You must prove your undue hardship will continue in the future. The first Brunner prong examines whether your current expenses and earnings leave no monthly disposable income to make your student loan payments. Assuming you meet the first prong, the second prong examines your future financial prospects. In Mason, the Ninth Circuit ruled that the second prong required proof of at least one ‘additional circumstance’ indicating a debtor’s state of affairs was likely to persist in the future. In Carnduff, the Ninth Circuit BAP determined that the second prong must be proved by a preponderance of the evidence standard (meaning more likely than not). Q: What types of circumstances satisfy the second Brunner prong? A: Over a dozen types of circumstances may qualify. 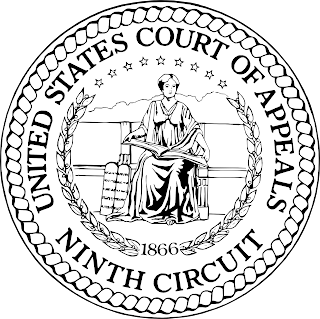 In Nys, the Ninth Circuit listed various circumstances that could satisfy the second Brunner prong, including: 1) serious mental or physical disability of a debtor or a debtor's dependents which prevents employment or advancement; 2) a debtor's obligations to care for dependents; 3) lack of, or severely limited education; 4) poor quality of education; 5) lack of usable or marketable job skills; 6) underemployment; 7) maximized income potential in the chosen educational field, and no other more lucrative job skills; 8) limited number of years remaining in a debtor's work life to allow payment of the loan; 9) age or other factors that prevent retraining or relocation as a means for payment of the loan; 10) lack of assets, whether or not exempt, which could be used to pay the loan; 11) potentially increasing expenses that outweigh any potential appreciation in the value of a debtor's assets and/or likely increases in a debtor's income; 12) lack of better financial options elsewhere. The Nys opinion made clear that although a debtor can’t purposely choose a lifestyle that prevents her from repaying her student loans, her additional circumstances need not be any more compelling or extreme than that of an ordinary person in debt. The court ruled that the second Brunner prong may be satisfied even in the absence of any serious illness or psychiatric problems. Q: Can I meet the second Brunner prong if I’m eligible for retraining? A: It depends whether a new career will allow you to repay your student loans. In Rosen, the Oregon bankruptcy court ruled that the second Brunner prong was met based on evidence a debtor’s financial status was likely to deteriorate in the future. The court reasoned that the debtor was permanently disabled with no college education or specialized skills. Although he was eligible for vocational retraining, the court saw no evidence that retraining would allow him to obtain a better paying job. Q: Can I satisfy the second Brunner prong if I’m relatively young? A: Potentially, so long as your student loans are so large you’ll never be able to repay them in full. In Carnduff, the Ninth Circuit BAP held that debtors met the second Brunner prong, even though they were young, educated, and likely to increase their incomes in the future. The court reasoned that although the debtors’ incomes were likely to increase, they would need to win the lottery or find a gold mine to repay their student loans in full. In Hedlund, the Oregon district court determined that a debtor passed the second Brunner prong because despite his youth, education, and good health, even a full time well-paying position in the future wouldn’t allow him to make payments during the repayment period that would ultimately pay off his loans. Q: Do I satisfy the second Brunner prong if I’m disabled? A: Probably, so long as your disability is permanent and your benefits don’t allow you to repay your student loans in the future. In Pena, the Ninth Circuit held that a debtor met the second Brunner prong based on her disability. The court was persuaded by her testimony that her mental impairment was permanent, and that she had already qualified for disability benefits. In Jorgensen, the Ninth Circuit BAP held a debtor passed the second Brunner prong because although her cancer may have been unlikely to return, she still suffered anemia, hypothyroidism and high blood pressure that limited her ability to work. However, in Nichols, the Ninth Circuit BAP held debtors did not pass the second Brunner prong because although they had health problems, they did not establish they were disabled and could not work. 2013 Bankr. LEXIS 4623 (9th Cir. BAP July 9, 2013). Q: Can I satisfy the second Brunner prong if I received no educational benefit from my student loans? A: Yes, so long as your poor education is keeping you from repaying your loans in the future. In Pena, the Ninth Circuit held that a debtor met the second Brunner prong based on his lack of job potential. The court held that whether the debtor received any educational value from his student loans at ITT were relevant to his future ability to repay his debts. Q: Can I satisfy the second Brunner prong if I have ADD? A: Yes, so long as your ADD will keep you from repaying your loans in the future. In Mason, the Ninth Circuit held a debtor passed the second Brunner prong because his life-long learning disability impacted his ability to succeed. Although the debtor attended law school, he received special accommodations, and had difficulty holding positions that require attention to detail. The court dismissed the argument that the debtor’s disability should not be an additional factor because he was disabled prior to receiving his student loans. The debtor was ultimately granted a partial discharge, based on evidence his situation would improve in the future. In Mendoza, the Ninth Circuit held that a debtor passed the second Brunner prong because his ADD presented a substantial barrier preventing him from improving his state of affairs. The court was persuaded by the fact that the debtor had lived at or below the poverty line and was occasionally homeless. Although he previously attended medical school, the court determined he was unable to afford prescription medication or even dental care that might help improve his situation. 182 Fed. Appx. 661 (9th Cir. 2006). In Gray, the Oregon bankruptcy court ruled that a debtor passed the second Brunner prong because his mental impairments were “the stripes of his coat” and thus would not improve even through psychotherapy. 2006 Bankr. LEXIS 4230 (Bankr. D. Or. June 19, 2006). Q: Can I satisfy the second Brunner prong if I earned a degree and am currently employed? 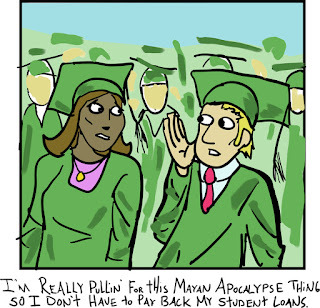 A: Only if an additional circumstance proves your future income will not be enough to repay your student loans. In Williams, the Ninth Circuit ruled that the second Brunner prong requires “unique” or “exceptional” circumstances. The court held the debtor did not meet the second prong because although he had trouble finding work in the past, he was currently employed as a teacher. 9 Fed. Appx. 696 (9th Cir. 2001). In Rifino, the Ninth Circuit determined that a debtor failed the second Brunner prong because her job as a social worker and her degree would likely allow her to increase her salary over time. In Birrane, the Ninth Circuit BAP held a debtor failed the second Brunner prong because no additional circumstances limited her road to financial recovery. The court noted the debtor was mentally healthy, educated, and could earn more money if her dance company took off. In Carter, the Ninth Circuit BAP held a debtor failed the second Brunner prong based on his testimony that he was in line for a promotion at work and expected a decrease in transportation expenses. 2011 Bankr. LEXIS 4831 (9th Cir. BAP Nov. 8, 2011). Q: Can I satisfy the second Brunner prong if I have current monthly disposable income? A: Yes, if your age and health make it likely you cannot work much longer. In Sequeira, the Oregon bankruptcy court held a debtor passed the second Brunner prong because although she currently had $176 disposable income, she would not be able to sustain that income for more than another seven and a half years, based on her age and medical difficulties. However, in Degroot, the Oregon district court ruled that where debtors choose to incur educational debt later in life, the fact that they will reach retirement age during the loan repayment period is not enough alone to meet the second Brunner prong. The court reasoned that the debtor’s financial circumstances were of her own choosing because she left her prior profession as a CPA to start a small business. My next post will explore the third Brunner prong. Today, the Ninth Circuit Court of Appeals ruled that consumers in bankruptcy may seek reimbursement for the fees they incur recovering damages caused by automatic stay violations. The court’s en banc opinion, In re Schwartz-Tallard, overruled a controversial 2010 case, Sternberg v. Johnston, which expressly prohibited courts from awarding fees incurred recovering damages under § 362(k) of the Bankruptcy Code. In Schwartz-Tallard, a debtor sued her mortgage company after it wrongfully foreclosed on her home during bankruptcy. The mortgage company denied all liability but lost in bankruptcy court and on appeal. Due to Sternberg’s holding, Schwartz-Tallard could not recover the fees she incurred defending the bankruptcy court’s ruling on appeal. Michael Fuller is a partner at Olsen Daines and a consumer law adjunct professor at Lewis & Clark Law School. This post discusses how to meet the first prong of the Brunner undue hardship test in Oregon bankruptcy courts. This is the second post of a five-part Q&A series about discharging student loans in Oregon. The first post discussed the general rule that student loans can't be discharged in bankruptcy, reviewed which types of educational debts are subject to the general rule, and introduced the undue hardship exception under the Brunner three-prong test. Q: How do I meet the first prong of the Brunner test? A: You must prove that you can't maintain a minimal standard of living if you're required to repay your student loans. 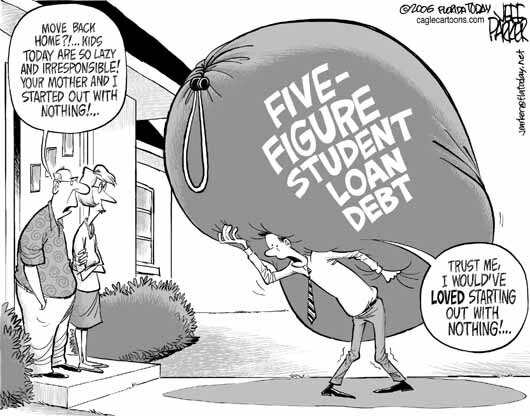 The first Brunner prong is met only if a debtor (a person filing bankruptcy) cannot repay their student loans after maximizing their income and reducing their budget down to a minimal standard of living. In Nascimento, the Ninth Circuit BAP ruled that the first Brunner prong requires more than a showing of tight finances. The first Brunner prong is satisfied only if it would be unconscionable to require a debtor to increase their income or reduce their expenses. In Pena, the Ninth Circuit determined that the first Brunner prong is satisfied if a debtor's expenses exceed their earnings, resulting in no monthly disposable income to repay their student loans. Q: Can I save for retirement and still meet the first Brunner prong? A: Possibly, depending on your age and circumstances. In Craig, the Ninth Circuit ruled that 401(k) plan contributions may be allowed, depending on a debtor's age, income, target retirement date, existing retirement savings, and the needs of the debtor's dependents, among other factors. Q: Can I take a vacation and still meet the first Brunner prong? A: Potentially, so long as you travel on a budget. In Jorgensen, the Ninth Circuit BAP allowed a debtor $50 in monthly travel expenses to visit family once a year. In Degroot, the Oregon district court allowed a debtor to vacation in Europe based on evidence that she used travel points and spent very little on incidentals. However, in Birrane, a Ninth Circuit bankruptcy court reasoned that a debtor met the first Brunner prong, in part, because she "takes no vacations." Q: Can I meet the first Brunner prong if my budget includes support to family members? A: Yes, if the support is reasonable. In Sequeira, the Oregon bankruptcy court allowed a debtor to financially support her elderly parent as part of her minimal standard of living because her parent reasonable relied on the debtor for support and the debtor did in fact provide her parent necessary financial support. Q: Can I own or lease a new car and still meet the first Brunner prong? A: Probably, so long as your new car is necessary, economical, and not a luxury brand. In Jorgensen, the Ninth Circuit BAP allowed a debtor to make payments on a new car under the first Brunner prong because her old car was not reliable and her new car was an inexpensive subcompact with a warranty. In Hedlund, an Oregon bankruptcy court allowed a debtor to make payments on a new car as part of his minimal standard of living. Q: Can my budget include entertainment expenses and still meet the first Brunner prong? In Hedlund, the Oregon district court allowed monthly expenses for cable, internet, cell phones, and a gym membership as part of a debtor's minimal standard of living. In Birrane, the Ninth Circuit BAP allowed monthly charitable contributions, dining out expenses, book club purchases, and gifts. In Rosen, the Oregon bankruptcy court allowed entertainment, clothing, child support, family law attorney fees, health insurance for children, and a DUI fine. However, in Nascimento, the Ninth Circuit BAP ruled that a debtor did not meet the first Brunner prong because she failed to engage in appropriate "short-term belt-tightening". The debtor's monthly budget included $65 for a hairdresser, a $325 car payment, a $100 phone bill, a $120 new clothing budget, weekly $100 chiropractor appointments, and $400 in projected child support payments. Q: Can my budget include new clothing expenses under the first Brunner prong? A: Yes, if new clothes are reasonable under the circumstances. In Jorgensen, the Ninth Circuit BAP allowed new clothes and dry cleaning expenses as within a debtor's minimal budget, reasoning that the debtor's clothing expense was a result of her fluctuating weight after cancer. Q: Can I meet the first Brunner prong even though my budget includes medical expenses? In Jorgensen, the Ninth Circuit BAP allowed an $800 monthly expense resulting from documented health problems as within a debtor's minimal budget. Q: Do I need to take on a roommate to meet the first Brunner prong? In Degroot, the Oregon district court ruled that a debtor failed to meet the first Brunner prong because she lived alone in a three bedroom house and failed to take on roommates for additional income. In Williams, the Ninth Circuit determined a debtor did not meet the first Brunner prong because he lived alone in a two bedroom apartment and failed to take on an additional roommate or downsize to a one bedroom apartment. 9 Fed. Appx. 696 (9th Cir. 2001). Q: Can I establish the first Brunner prong even though my income fluctuates? In Mason, the Ninth Circuit affirmed the discretion of bankruptcy courts to determine the proper method to average a debtor's fluctuating income and expenses. In Pena, the Ninth Circuit did not disrupt a bankruptcy court's decision to average the debtors' expenses incurred at the time of filing, during discovery, and at the time of trial. Q: Can I meet the first Brunner prong if my income is above the poverty guidelines? In Howe, the Ninth Circuit BAP ruled that the first prong of the Brunner test requires analysis of a debtor's actual monthly budgets, regardless of whether their income meets or exceeds the federal poverty guidelines or IRS non-collectability standards. In Carter, the Ninth Circuit BAP determined that a debtor who worked at a gas station did not pass the first Brunner prong because despite his low earnings, his disposable monthly income could repay his student loans. 2011 Bankr. LEXIS 4831 (9th Cir. BAP Nov. 8, 2011). Q: Can I meet the first Brunner prong if mental health issues prevent me from working? In Gray, the Oregon bankruptcy court determined that a debtor who lived in an old trailer and survived on disability and food stamps met the first Brunner prong based on a psychologist's report that his personality disorders prevented him from working. The court determined the debtor's income was barely sufficient to sustain even a marginal lifestyle, let alone make his student loan payments. 2006 Bankr. LEXIS 4230 (Bankr. D. Or. June 19, 2006). Q: Do I need to look for a higher paying job to meet the first Brunner prong? A: To avoid issues at trial, yes. In Blackbird, the Ninth Circuit BAP narrowly rejected the argument that the debtor failed the first prong of the Brunner test because he did not maximize his efforts to find a better job in light of his degrees and good health. In Degroot, the Oregon district court was not persuaded by the argument that a debtor failed to meet the first Brunner prong because she let her accounting degrees lapse to open a struggling yarn store in Portland. Q: Do I need to work overtime or take on a second job to meet the first Brunner prong? A: Not necessarily but you should work at least 40 hours per week if possible. In Williams, the Ninth Circuit determined a debtor did not meet the first Brunner prong because he worked only ten months out of the year, and testified he would work even less if his student loans were discharged. 9 Fed. Appx. 696 (9th Cir. 2001). Q: Can I own a home and still meet the first Brunner prong? A: Yes, so long as your equity is not excessive and all bedrooms are occupied. In Degroot, the Oregon district court was not persuaded by the argument that a debtor failed to meet the first Brunner prong because she should have sold her home to cash in her equity. However, the court ultimately denied the debtor a discharge because she failed to find roommates for her two unoccupied rooms. Q: Can I meet the first Brunner prong if my income will soon decrease? A: Probably, depending on your age and health. In Sequeira, the Oregon bankruptcy court considered a debtor's age and medical difficulties in determining that she satisfied the first Brunner prong. 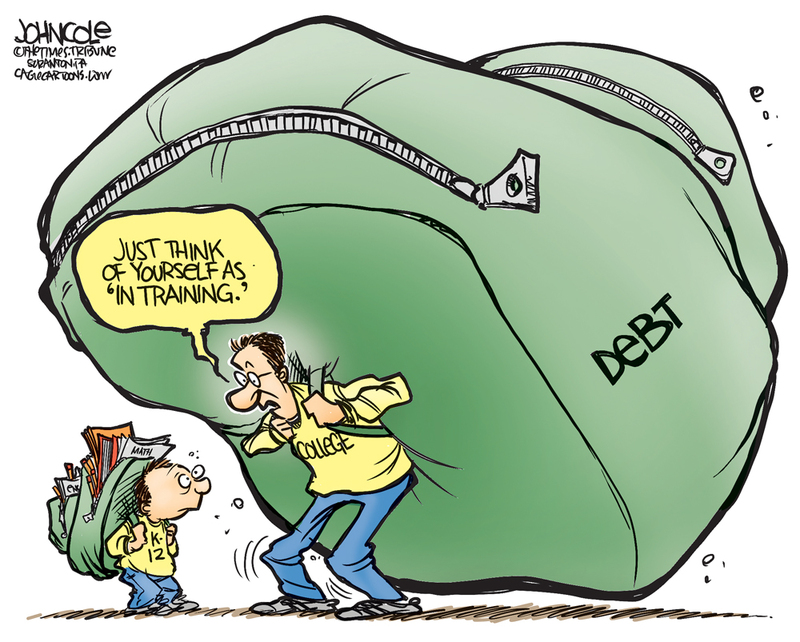 The court reasoned that although the debtor had $176 disposable income to repay her student loans each month, she wouldn't be able to sustain those payments for more than another seven and a half years. Accordingly, the court granted her partial student loan discharge. Q: Do I meet the first Brunner prong if my student loan payments are so large I could never pay them off? A: Yes, so long as you've taken all efforts to maximize your income, reduce expenses, and you still could never realistically payoff your loan balance. In Blackbird, the Ninth Circuit bankruptcy court determined the debtor met the first prong of the Brunner test because even though his restaurant meals, skydiving expenses, and cable television expenses were not reasonably necessary, his disposable income was so low, he could not realistically repay his entire debt amount. Despite his multiple degrees and good health, the debtor owed over $217,000 in student loans and earned $1,661 net income as a customer service representative at Lowe's. In Carnduff, the Ninth Circuit BAP ruled that debtors satisfied the first Brunner prong because even the modest reductions in expenses proposed by the Department of Education would be inadequate to fully amortize the entire amount of their student loan debt. In Rifino, the Ninth Circuit overlooked a debtor's tanning, cable television, and monthly new car payments because she wouldn't have been able to pay her student loans even if she had removed these expenses from her budget. Q: Can I meet the first Brunner prong if my student loans are from graduate school? In Blackbird, the Ninth Circuit BAP allowed a debtor with over $217,000 in medical school student loans earning $1,661 per month to pass the first Brunner prong. In Hedlund, the Ninth Circuit allowed a former law school student who couldn't pass the bar to discharge most of his $85,000 student loan debts. Q: Do I have to apply for an income-based repayment plan to meet the first Brunner prong? A: Generally yes; Oregon courts want to see whether you can afford an income-based repayment plan payment after deducing your monthly expenses from your monthly income. In Freeland, the Oregon bankruptcy court ruled that debtors did not satisfy the first Brunner prong because they could have afforded monthly income-based repayment plan ("IBRP") payments by reducing their monthly expenses. 2015 Bankr. LEXIS 2991 (Bankr. D. Or. Sept. 2, 2015). In Cianciulli, the Oregon bankruptcy court refused to discharge $89,000 in student loans under the first Brunner prong because requiring debtors to make a monthly IBRP payment of $408 based on net income of $2,800 was not unconscionable. 2005 Bankr. LEXIS 1129 (Bankr. D. Or. June 7, 2005). The second Brunner prong will be discussed in next week's post. 1. a competitor expected to lose in a fight. 2. a person with little status in society. This website is not a solicitation for professional employment. I am licensed to practice law in the State of Oregon only and can be reached at PO Box 2316, Portland, OR 97208. The Underdog Lawyer ® is a registered trademark of Michael Fuller. Copyright 2015 Michael Fuller. Reproduction of this website is only allowed for consumer purposes. Results vary for every client in every case. Litigation results subject to appeal and compromise.